The reason why I went to the bar “France Ya” for the first time was that one of my friend invited. There is a cocktail which the friend always orders first. 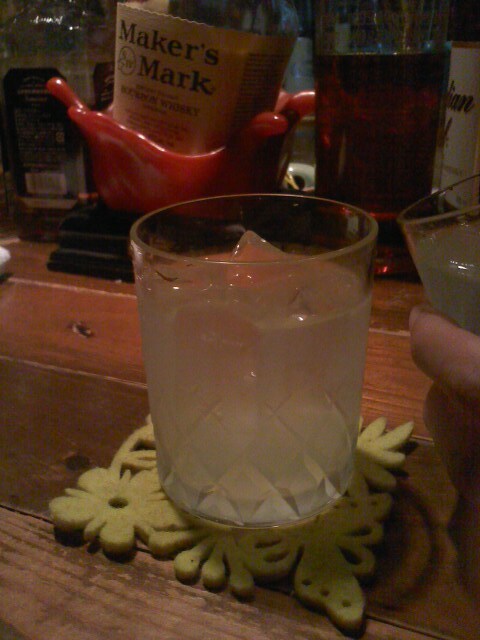 The cocktail is “Kamikaze”. It is made of equal parts of vodka, Curaçao, and lime juice. The name made me think that it should have been created in Japan, but the bartender said that it probably came from America. The cocktail tastes refreshing as it looks but the first sip you take makes you feel it is strikingly strong because of vodka which the cocktail is based on. It has probably been seventeen years since my first visit to this bar with the friend. The other day, a question occurred to me so I asked him why he order Kamikaze first without fail. “For no particular reason”, he answered. Actually, I envy him a little because I’m always indecisive about the first drink.